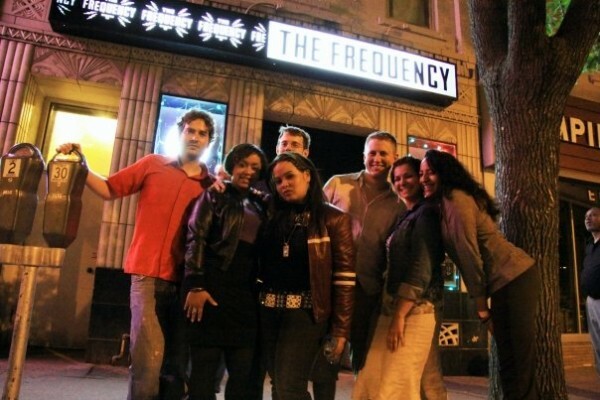 Felicia Alima performed with her band on Friday, May 22, at the Frequency in downtown Madison in an event to raise awareness about the issue of human trafficking . The event, dubbed the Trade Show, marked the release of her single (of same name) which speaks about this oft-ignored issue. The night began with a poetry performance by Nigel Wade, Evy Gildrie-Voyles, and Caitlin McGahan. 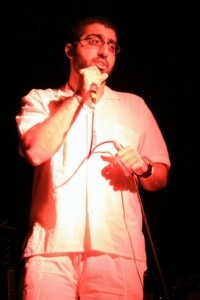 Immediately following the poets, several activists stepped-up to the microphone to share a message, and speak about the cause including Marianna Smirnova from Wisconsin Office of Justice Assistance (OJA), Darius Alemzadeh from Trafficking Ends With Action (TEA), and Lilada Gee from Women of Worth (WOW). Upon entering the venue, it was immediately noticeable that Alima had done her marketing and merchandising homework. There were posters on the outer windows as well as on the walls of the performance space, which displayed a color scheme and theme to attract the eyes of those in attendance. 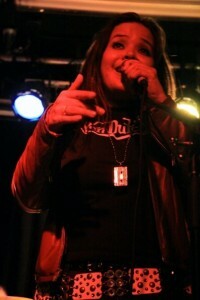 “Trade”-themed wrist bands (tradebands), were distributed with admission to the show. With merchandise and ticketing proceeds going towards the Coalition Against Trafficking In Women (CATW), the cause of the evening was a worthy one, and Miss Alima did fine work in preparing to inform and involve all of the attendees of her event. The socially-conscious urban artist was flanked by a small team at an information table, a number of fellow artists (including a six-person band), and even several photographers and videographers who were capturing all the proceedings of the entire evening. 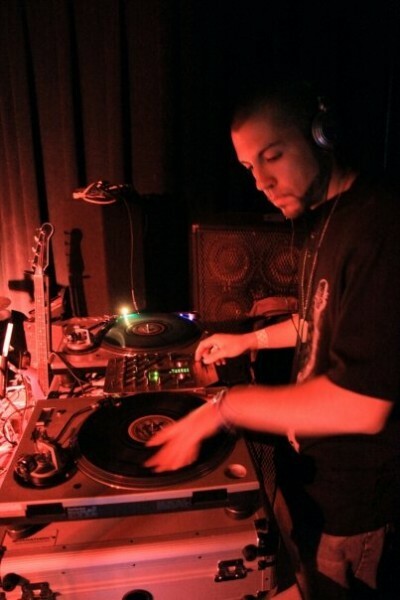 The Frequency’s concert room swelled to capacity as DJ Pain 1 energized the crowd with several grooving numbers on the turn-tables. 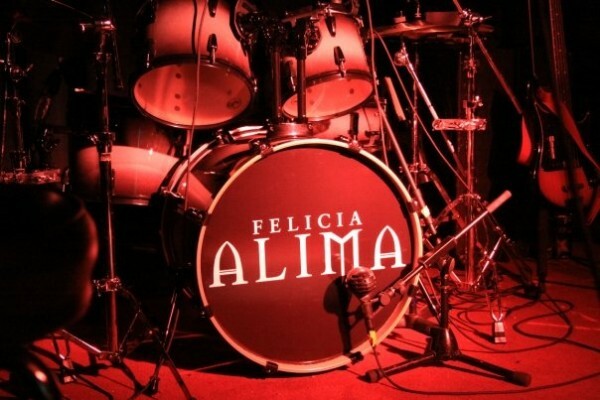 Soon after, Alima and her band fired into a twelve-song set which featured a nice variety of up-tempo numbers, grooving rockers, and even a few softer tunes. 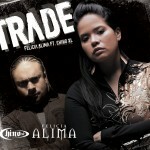 About midway through the set, Alima performed the signature song of the evening, “Trade”. The mellow music served to emphasise the lyrics, which speak of the epidemic that is plaguing an alarming number of women across the world. On this song, Alima’s voice and message were clear: Stay informed and help however you feel you can. 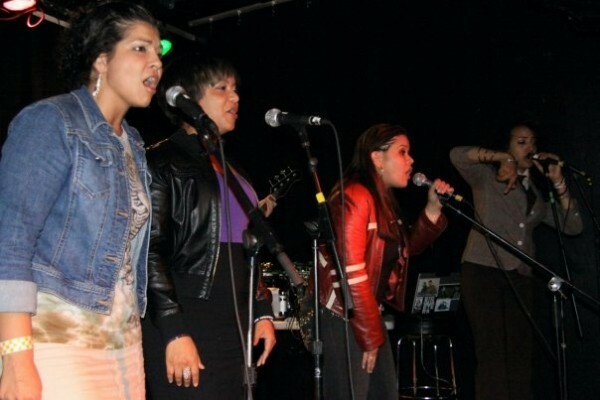 Among a set of original music, a few covers were included, and the vibe of the evening hovered around an up-beat, dancing atmosphere. Kudos go to Ms. Alima on making this event a win-win for everyone involved.